Unfortunately, a rear end automobile accident is not always avoidable. Rear end accidents can occur because of slippery/icy roads, distracted driving (texting) or inattentiveness to existing traffic conditions. Traffic tickets issued for rear end accidents are one of the most common traffic tickets that we see every day on our Macomb County District Court dockets. 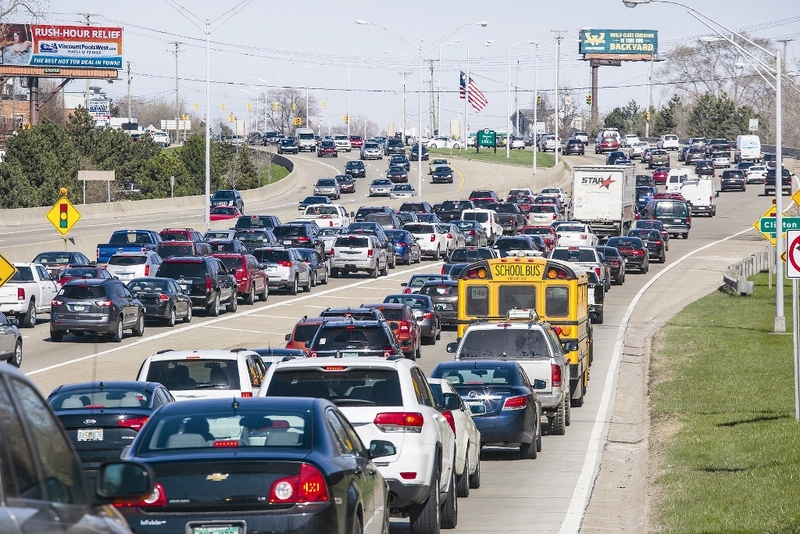 Anyone that drives regularly on M-59/Hall Road, on either the Sterling Heights side, or the Utica/Macomb Township and Shelby Township side, will probably witness a rear end accident at some point in time. A person operating a vehicle on a highway shall operate that vehicle at a careful and prudent speed not greater than nor less than is reasonable and proper, having due regard to the traffic, surface, and width of the highway and of any other condition then existing. A person shall not operate a vehicle upon a highway at a speed greater than that which will permit a stop within the assured, clear distance ahead. In addition, for purposes of civil liability, Michigan law (MCL 257.402) creates a presumption that the person who hit the rear end of another car is at fault. This does not mean that a rear end accident cannot be disputed in situations where another vehicle cuts in front and slams on the brakes making a safe stop impossible. The cell phone and distracted driver are a big cause of rear end accidents. Michigan’s distracted driving statute can be found at MCL 257.602b. A portion of the distracted driving statute provides as follows. Except as otherwise provided in this section, a person shall not read, manually type, or send a text message on a wireless 2-way communication device that is located in the person’s hand or in the person’s lap, including a wireless telephone used in cellular telephone service or personal communication service, while operating a motor vehicle that is moving on a highway or street in this state. During the course of a rear end accident investigation, the police may issue 2 tickets if there is a finding that person involved in a rear end accident was also distracted driving. Driving without due care and caution is a traffic violation that is issued when the speed of a vehicle is not appropriate for the existing traffic and road conditions. For example, a person can be issued a ticket for driving without due and caution when the roads are hazardous because of ice or snow even though the person is driving at or below the posted speed limit. In this regard, a driver that slides off the road or into another vehicle, person or property may be issued a ticket for driving without due care and caution or FTSACD, depending upon the circumstances. Getting a traffic lawyer to fight a ticket for FTSACD, distracted driving or driving without due care and caution is an option that can result in avoiding the points imposed by the Michigan Secretary of State. This is something that we recommend to anyone that is concerned about keeping a driving record clean and higher insurance premiums. Our experience in Macomb County has been positive to the extent that a traffic ticket can often be amended to a lower offense, or to an offense which does not carry any points (Michigan Points System) and does not appear on a person’s driving record. The traffic offenses known as “impeding traffic” and “double parking” are offenses which we have been able to negotiate to avoid points and keep a person’s record clear. Be aware: Even when a traffic offense is dismissed or amended to an offense that is not abstracted, the accident will still be reported on a person’s driving record.